75-year-old Terry Lauerman is spending his retirement well by volunteering and napping -- at the same time. Lauerman is a volunteer at the Safe Haven Pet Sanctuary in Green Bay, Wisconsin, and every day he shows up ready to take a snooze. This form of volunteerism became Lauerman's daily routine -- and Safe Haven welcomed it. "We are so lucky to have a human like Terry," the shelter said in a Facebook post on Tuesday. "Terry just came along one day and introduced himself. He said he'd like to brush cats. Eventually, it became everyday. He brushes all of the cats, and can tell you about all of their likes and dislikes." 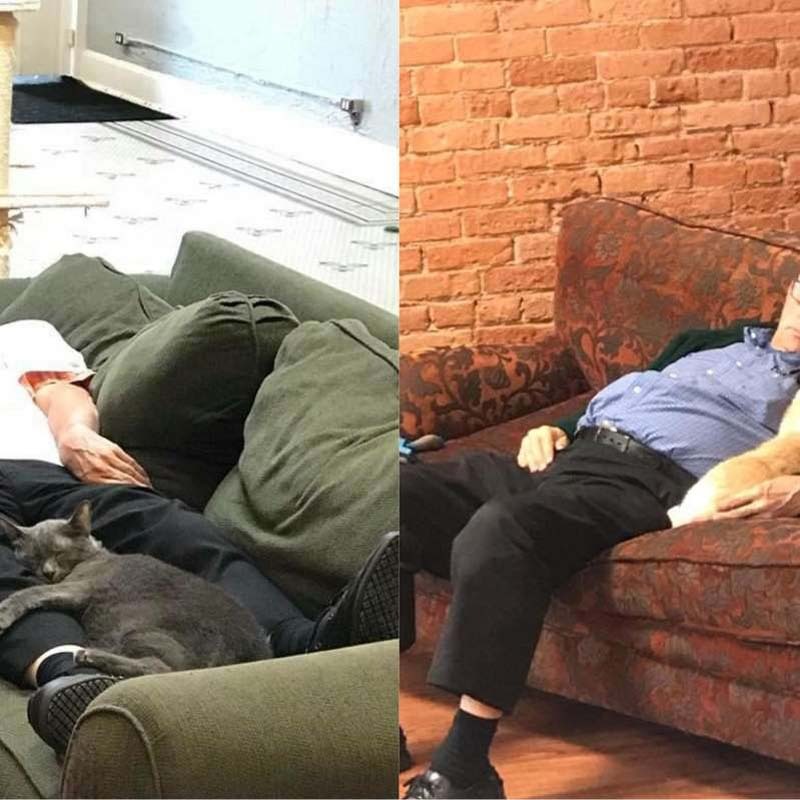 The cat naps are helpful for both the felines -- who get 12 to 16 hours of sleep a day -- and Lauerman, who found a comfy way to spend his retirement.